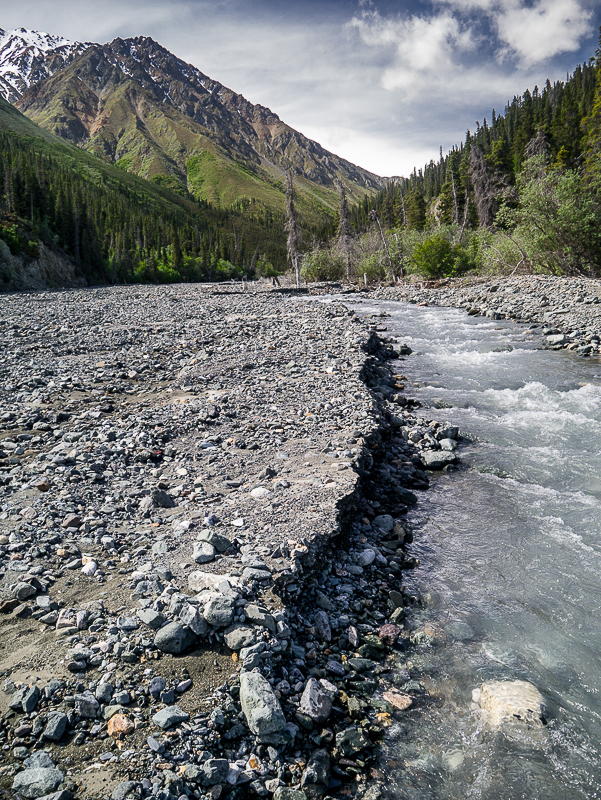 Congdon Creek winds its way into the mountains. 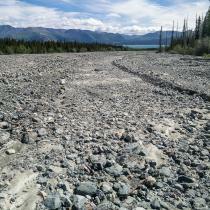 It is a great access point to explore deeper into Kluane. 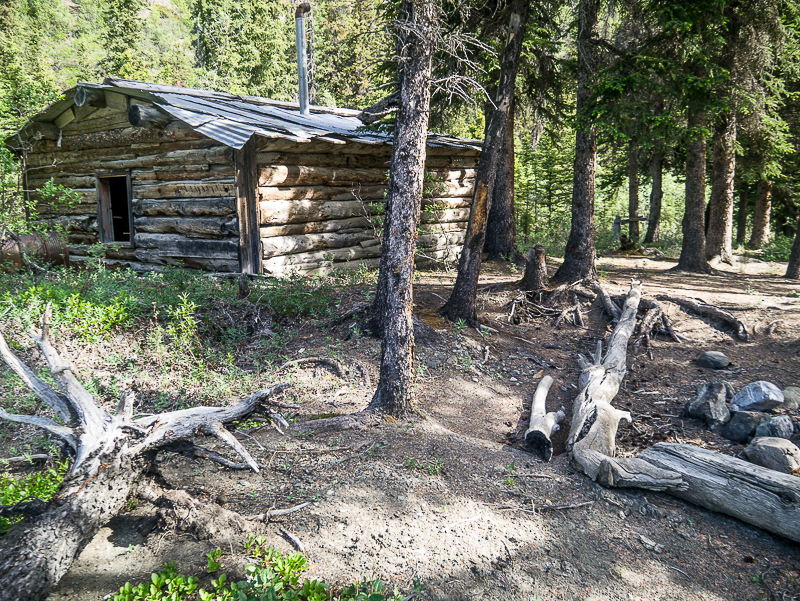 You could hike this as a long day trip, but it is much better as an multi-day trip, and you can even connect to the Bullion Plateau trail or the Bock's Lake trail. 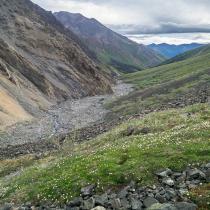 Drive 87 km north of Haines Junction on the Alaska Highway. 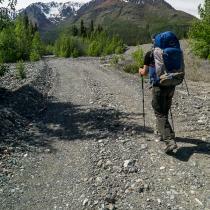 About 250 m south of the Congdon Creek Campground you will see a small gravel road on your left (west side). You can park on the road just off the highway. 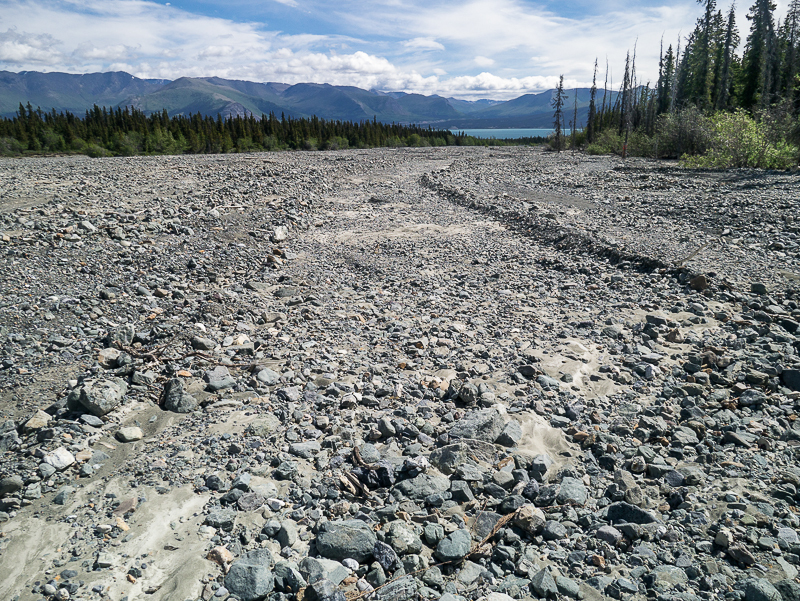 Depending on conditions, you may be able to drive 1.5 km up the gravel road. 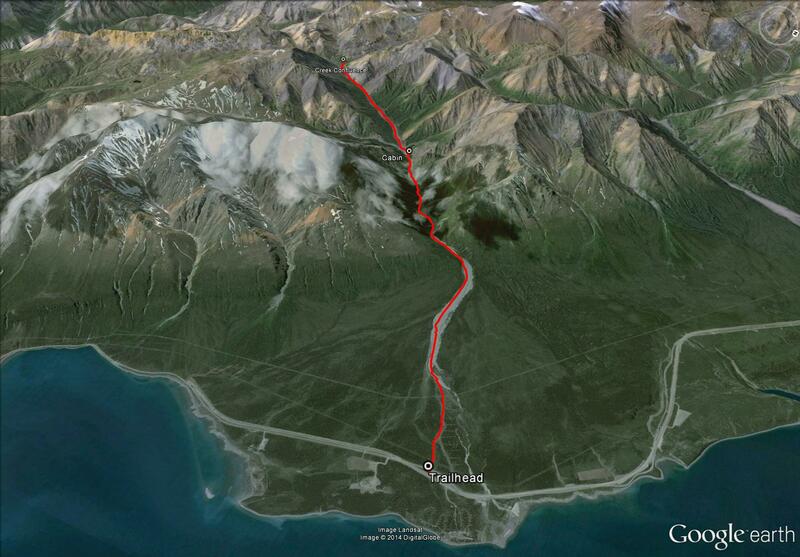 Start by following the gravel road for about 1.5 km. It is easy walking and easy to follow. 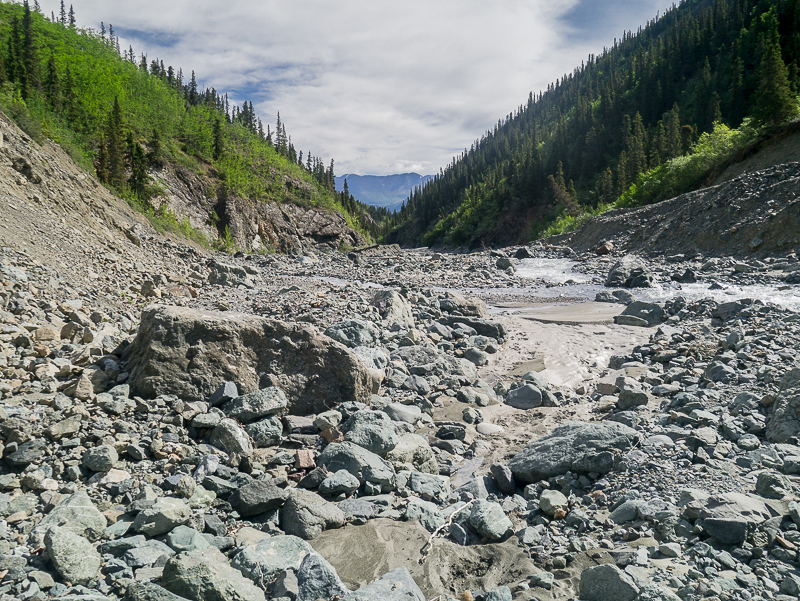 You will eventually reach the wide creek bed of Congdon Creek with obvious signs of mining. You can follow the creek bed most of the way up. 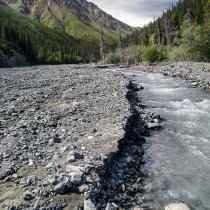 As you approach the mountains, the creek bed will start to narrow and you may be forced to cross Congdon Creek at times. After 8 km, there is a small cabin on your right (north) in the trees. 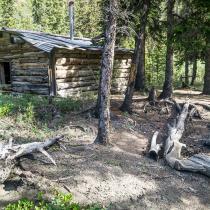 Don't plan on staying the night there, it is in very poor shape. 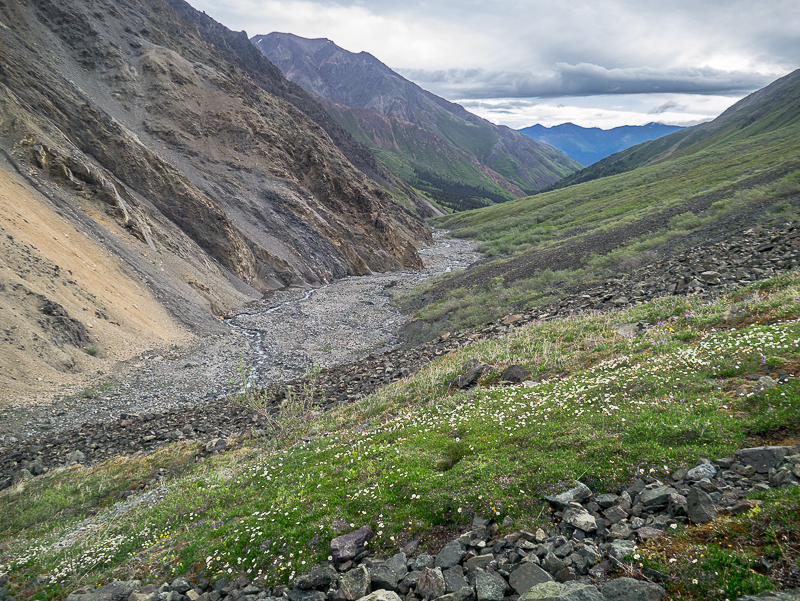 Near the end of the route, after about 12 km, the canyon narrows enough that you may be forced to walk on the hillside on your left (south). It is fairly easy walking and is open alpine. 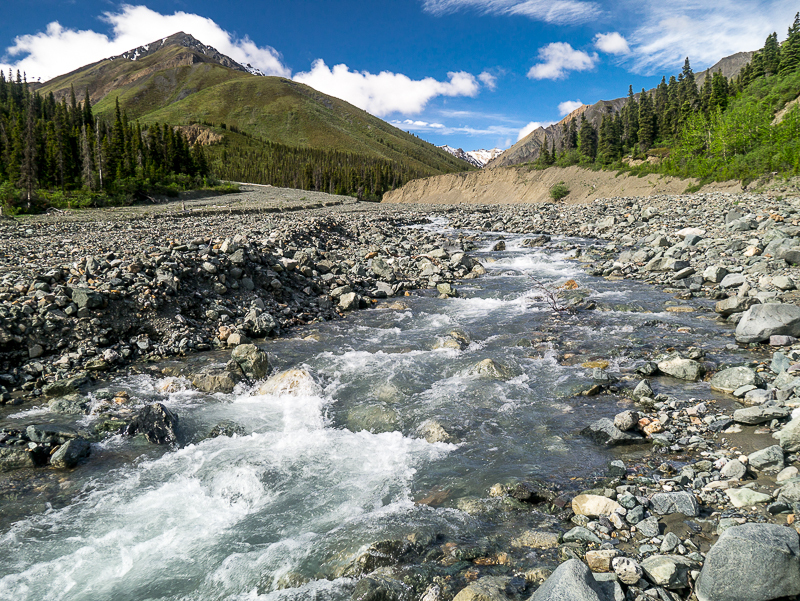 The route ends in a wide open area with a confluence of creeks. To your right (north) leads to a pass below Right On Mountain towards Dickson Creek. 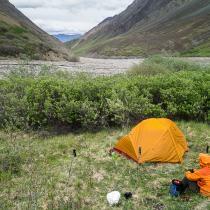 This would be a good objective if you are only spending one night in the area. 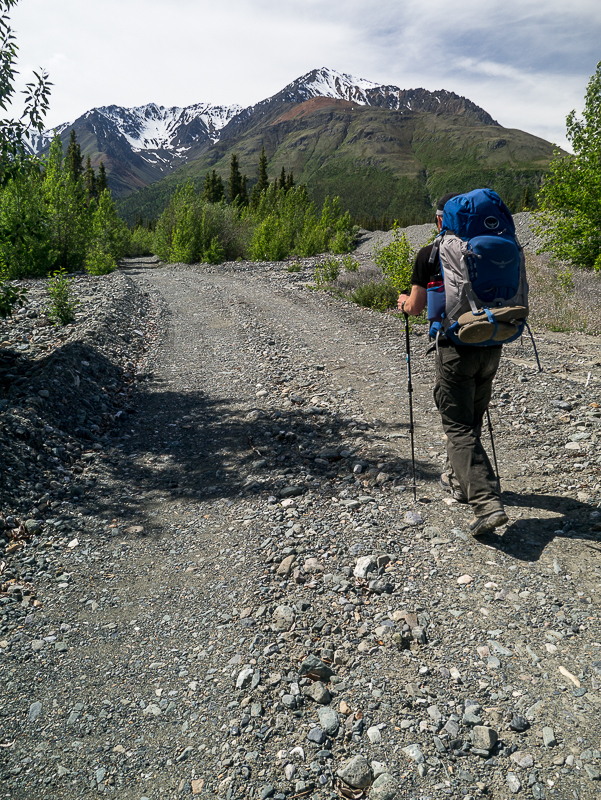 To your left (south) leads towards Red Castle Ridge and Bullion Plateau, which would be a multi-day route leading out near Sheep Creek. 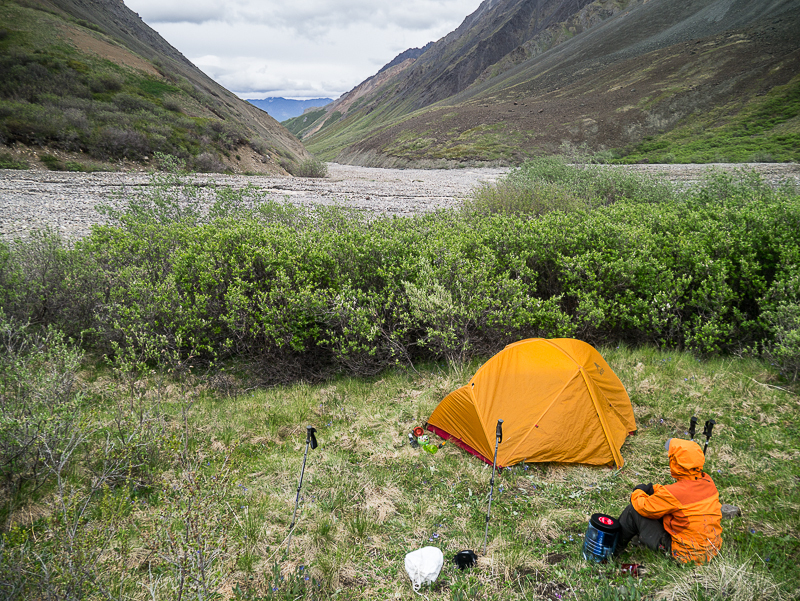 If you are camping at the end of the route described here, there is a small patch of ground in a group of vegetation on the northwest side. Otherwise you can camp on the sand and gravel if you can find a flat spot. 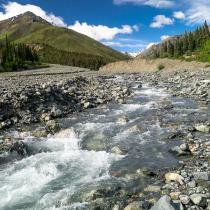 Have you been to Congdon Creek lately?